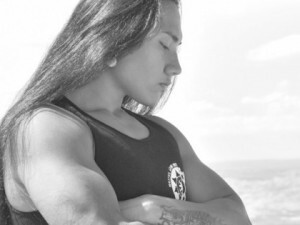 The Objection: It is not natural for all women to have long hair. Many women cannot grow their hair long even if they wanted to. Since entire people groups (African women for example) could leave their hair uncut and it still be short, it’s unfair to say all women should have it long. It is often pointed out that some women don’t possess the ability to grow their hair long. If that is so, how can we say it’s natural for them to have long hair? First it’s important to establish that by “long hair” we don’t mean that all women worldwide must wear their hair long according to Western standards. “Long” must be understood culturally in contrast to the length of mens short hairstyles. Just like dressing modestly, there are some outfits which clearly do not fit the label no matter the culture. Likewise, there are some hairstyles which couldn’t be called ‘long’ no matter where one lives. However, there is a fair amount of subjectivity to it as well. A North American definition of modest attire for example, will actually be seen as immodest in some middle-Eastern countries. Likewise, we must not import our definition of “long” to other people groups where the texture of their hair differs or their short/long styles don’t parallel ours. 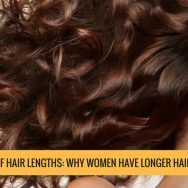 Once we’ve allowed some flexibility with our definition of long, there still remains the fact that some women cannot grow their hair to a length that would be considered “long” in their culture. When dealing with creation and nature, we must first remember that we live in a fallen world. Before Genesis 3 there was no sin, death, disease or suffering. Everything functioned in the exact way God intended. When Adam & Eve sinned the world was turned upside down. 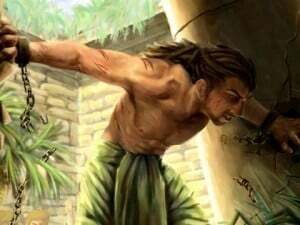 Thorns & thistles grew on plants (Gen 3:17-18), work became hard (Gen 3:19) and childbirth became painful (Gen 3:16). Sin affected everything and the world was “subjected to futility” (Rom 8:20). Not only the creation, but “we ourselves” (Rom 8:23) experience this same corruption. This means we shouldn’t expect nature to paint us perfect pictures in a post-Genesis 3 world. It’s been tainted. We should expect breakdowns and exceptions on all natural functions and processes in a fallen world. To help explain why some women cannot grow their hair long, let’s take a look at child bearing. God has designed women to bear children and because it is the normal process that He designed, it fits the description of being ‘natural’ based on how the New Testament uses that word. 1) See the article on this site ‘Are Appropriate Hair Lengths Dictated by Culture?‘ under the section ‘Defining Nature’. Not only that but the Scriptures see it as the normative pattern for women. For example Paul says “Yet she will be saved through childbearing” (1 Tim 2:15 ESV) and later “So I would have younger widows marry, bear children” (1 Tim 5:14 ESV). No matter how you understand these verses, what we can agree on is that it’s teaching that child bearing is normative for women. The parallel issue though is not all women are able to have babies. There are scores of women worldwide who want to have children, but cannot. Likewise, there are many women who want to have long hair (or hair at all) but cannot. In a fallen world, we understand that diseases and genetic mutations (loss of genetic information) can take away/distort/limit what is a natural function. So when we talk about “nature” we must understand that it’s in the context of a fallen world and because of that we shouldn’t expect flawless functionality. A woman’s long hair is her glory and for her to have a longer length then men’s is natural. The fact that some women cannot achieve this is not a contradiction of that truth, but is a by-product of the world we live in. In 1 Cor 11:6 Paul says that it’s disgraceful for women to have their hair cut short or shaven. I don’t think he’s speaking of natural limitations here but rather the voluntary cutting short of a woman’s hair. We know this because the words he uses (cut short/shaven) require an action. It’s not something that happens to you, but something you do yourself. To cut off your long hair is to reject the special glory that God has given to you. This means that women who have lost their hair due to a disease or whose hair just won’t grow long should not feel bad. They should not feel like they’re cursed, being punished or second-class. To give an analogy, let’s say your husband bought you an expensive ring which he was excited to give you as a gift. There’s a big difference between the wife who refuses to wear it because she doesn’t like how it looks and the wife who appreciates the gift & longs to wear it but it won’t fit on her finger. God sees your heart. “Long” should be understood culturally in contrast to the length of mens short hairstyles. Because we live in a fallen world we should not expect flawless functionality on natural processes. Just as some women cannot bear children, some cannot grow their hair long. Neither realities contradict them being “natural” for women. Paul does not call women who have short hair by natural limitation disgraceful. He only says that about the woman who cuts it short or shaves it off. ↑ See the article on this site ‘Are Appropriate Hair Lengths Dictated by Culture?‘ under the section ‘Defining Nature’. Why is cultural context appropriate when considering length of women’s hair compared to men’s but not unique historical contexts vs. present understandings of gender identity? You seem to have conveniently cherry-picked which cultural contexts fit your conclusion. I do see a distinction between the two so my decision to only look at one aspect culturally was not arbitrary. The reason I believe we must look at the specifics culturally (like, “how long is long?”) is preciously because of the lack of explanation. There’s no appeal and no elaboration.